WPCI is a proposed pipeline right-of-way (ROW) network designed to connect sources of carbon dioxide (CO2) to existing oil fields that are suitable for enhanced oil recovery (EOR), via CO2 flooding. The WPCI is a product of Governor Mead’s Energy Strategy. What is the purpose of the WPCI? 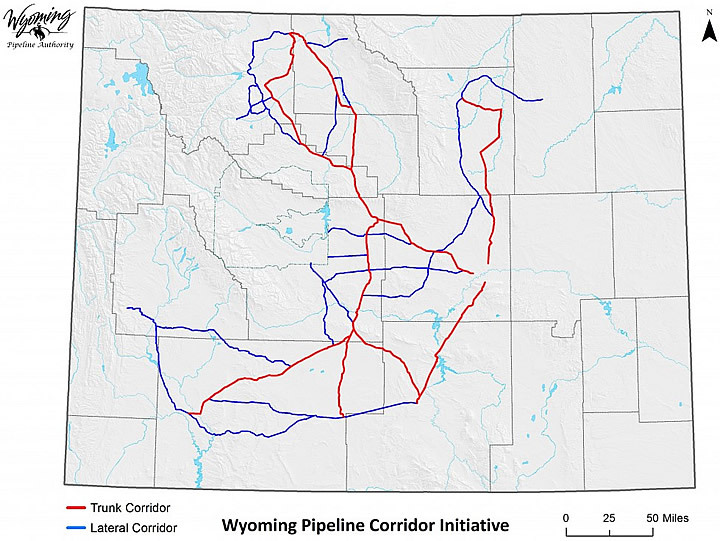 The WPCI is intended to address future needs for pipeline infrastructure within Wyoming that would transport CO2, and eventually resulting products. By establishing corridors on federal lands, companies that wish to construct pipelines in the WPCI will be able to do so with shorter time tables, as a large portion of the federal planning process will be completed. Additionally, by consolidating infrastructure within the WPCI, impacts to other resources will be minimized. Enhanced oil recovery (EOR) is the process of obtaining stranded oil not recovered from an oil reservoir through conventional extraction processes. Who are the responsible parties in the WPCI planning process? 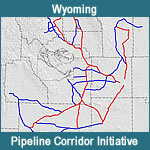 The Wyoming Pipeline Authority (WPA) is the project proponent. They will receive the ROW grant or other instrument as deemed appropriate by federal agencies. They will assign ROW to companies who wish to build within the WPCI, under the oversight of federal land managing agencies. The State of Wyoming is proposing to act as the co-lead in the planning process. The State of Wyoming will serve as the project manager for the federal planning process, in coordination with federal agencies. The Bureau of Land Management (BLM) is the lead federal agency in the planning process. They will coordinate with the State of Wyoming to ensure the administrative processes are complete, as well as issue the Record of Decision. 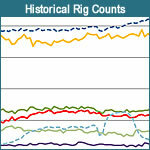 How many miles of pipeline corridor are proposed? 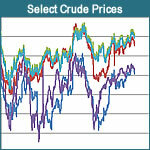 The WPCI will establish approximately 1,150 miles of pipeline corridor on federal lands. How wide are the proposed pipeline corridors? Trunk corridors will be 300 feet wide and will have the ability to contain up to five 24-inch pipelines. Lateral corridors will be 200 feet wide and will have the ability to contain up to three 24-inch pipelines. What federally managed lands are crossed by the WPCI? As proposed, the WPCI will cross BLM lands in 9 field office areas. Additionally, small amounts of U.S. Forest Service, Bureau of Reclamation, and Department of Defense managed lands will be crossed. Who is paying for the WPCI? The Wyoming Legislature allocated Abandoned Mine Land (AML) funds for the project during the 2012 Budget Session. These funds are being used for the WPCI planning process. 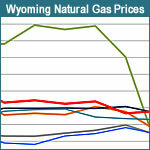 What is the benefit for Wyoming? Wo et al. 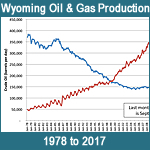 (2009), at the University of Wyoming, School of Energy Resources estimates that 1.2 to 1.8 billion barrels of oil may be recovered by CO2 flooding, which would provide significant revenues to the State of Wyoming. Additionally, CO2 flooding could sequester up to 20 trillion cubic feet of CO2, which could be a significant benefit due to the pending and proposed national regulation of CO2. How will impacts to other resources be addressed? The State of Wyoming will work with BLM, and other applicable federal, state, and local entities to address potential resource impacts that could result from the WPCI. An environmental analysis will be completed, per the National Environmental Policy Act (NEPA), to permit the proposed pipeline corridors on federally managed lands. Additionally, qualified project proponents who intend to build within the WPCI will be required to complete project specific permits and surveys prior to being given a notice to proceed with construction activities.